ONE Championship brings the circular cage to the Mall of Asia Arena in Manila, Philippines, on Friday, Jan. 25, for ONE Championship: Hero’s Ascent. In the evening’s headliner, the flyweight title is on the line in a rubber match between current titleholder Geje Eustaquio and former champion Adriano “Mikinho” Moraes. In their last meeting, which took place at ONE Championship: Pinnacle of Power in June 2018, Eustaquio captured the belt after a hard-fought five-round battle. The first round of the ONE Lightweight Grand Prix kicks off with the first quarterfinal bout, which features former ONE featherweight champ Honorio Banario welcoming back undefeated prospect Lowen Tynanes, who makes his return to the sport after nearly a three-year absence. Banario, 28, has won six of his past seven fights. The ONE Super Series features a number of Muay Thai and kickboxing rules bouts, including the return of the “Muay Thank” Rodtang Jitmuangnon against Tunisia’s Fahdi Khaled. Japan’s Yukinori Ogasawara looks to rebound against K-1 veteran Elias Mahmoudi, and Bangpleenoi Petchyindee Academy makes his promotional debut opposite exciting featherweight Brown Pinas. In other MMA action, former Deep flyweight champion Tatsumitsu Wada returns against Filipino prospect Danny Kingad. The preliminary card airs live at 6:30 a.m. ET on ONE Championship’s Facebook and Twitter page. The main card continues on B/R Live (United States), the ONE Championship App, and YouTube (worldwide) at 8 p.m. ET. Interim flyweight titleholder Geje Eustaquio recently unified the championship with a split nod over official champ Adriano Moraes. 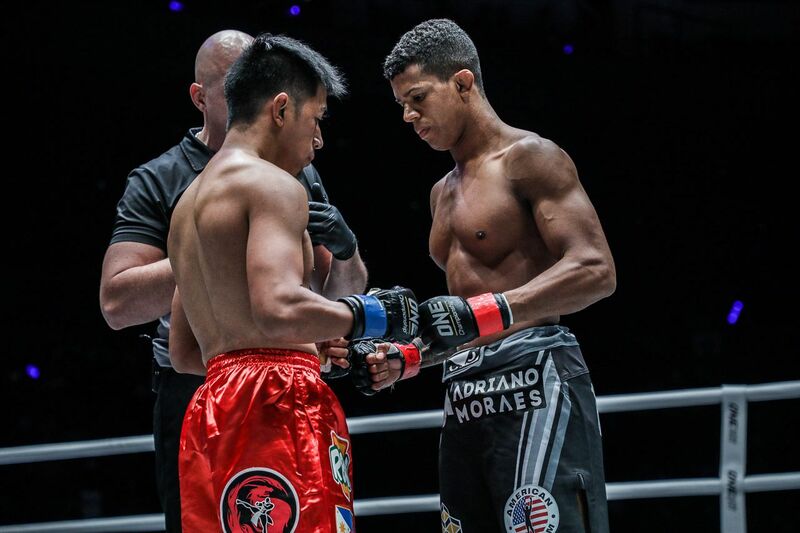 Now, Eustaquio and Moraes rematch for the strap in what will be their third overall encounter — Moraes won their first contest in 2014 by way of submission. Can we expect a significant change in how this championship fight plays out the second time around? After an incredible back-and-forth bout in the second meeting between the pair, Eustaquio was crowned the new champ in China. The Filipino fighter makes the first defense of his title against the man he took it from, but this time the fight will take place on home ground. Eustaquio, who was born in Baguio City, Philippines, has carved out a place for himself atop the flyweight division. The Team Lakay representative transitioned from a strong wushu background to begin his MMA career in 2011. The 29-year-old has come into his own over the past three years with victories in five of his last seven fights, including avenging one of those two losses against Kairat Akhmetov to win the interim belt. Moraes, a two-time ONE flyweight champion, has racked up an impressive 17 victories and 12 stoppages in his 20-fight professional career. The former Shooto Brazil flyweight titleholder pushed his name to the top of the division quickly after signing with ONE in 2013. “Mikinho” holds victories in eight of his past 10 fights. 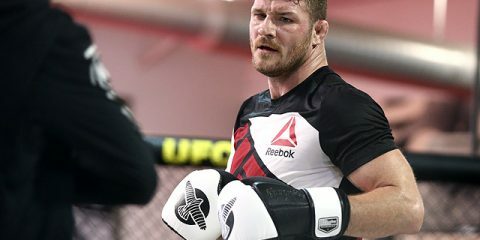 The Constrictor Team member has spent time honing his craft with American Top Team, even training with the likes of Rizin bantamweight champion Kyoji Horiguchi. The third and deciding bout between these top flyweights could certainly play out the same way as last time. However, a change in scenery and switch from the ring to the cage could ultimately be factors in determining who gets the upper hand and when. Although both fighters are well rounded, this fight reads as a striker-vs.-grappler contest. Moraes is a high-level jiu-jitsu player who likes to work from side control and top position, but he is comfortable attacking or looking for a sweep from the guard. The Brazilian has developed a diverse striking arsenal that features a variety of kicks to pair with his grappling and submission ability. Eustaquio’s best tools are his kicks, knees and punches. Yet, Eustaquio has the ability to avoid danger on the ground and put himself back in position to score on the feet. This will most likely be another closely contested fight that could feature every facet of MMA. If the fight is held inside a cage, Eustaquio will have more room to move and counter from the outside. He will also have to contend with Moraes potentially using the cage as a utensil to thwart Eustaquio’s movements. If Moraes can find more control during the rubber match, then he might just be able to sink in one of his chokes from dominant position. If Moraes is continuously looking to catch the submission in transition, it could be a different story. Eustaquio has continued to showcase his improvements over his ONE tenure, but Moraes is primed to bring the belt back to Brazil. The fight card features four Muay Thai affairs and one kickboxing bout. Will any of these fights have a major impact on world rankings in those sports? Which fight should fans look forward to the most? There is one fighter who stands above the rest because of his ability to put on incredible fights at the highest level. Rodtang Jitmuangnon is one of the hottest commodities in Muay Thai today with his background as a frequent stadium competitor, his tremendous resume featuring 300-plus fights, and his aggressive, non-stop style that has produced “Fight of the Year” candidates in kickboxing and Muay Thai. “The Tank’s” menacing style can only be described as perpetual violence with a gigantic splash of insanity. The 21-year-old maestro of savagery can often be viewed smiling at his opponents as he walks them down for the totality of the bout. The former two-time Omnoi stadium and MAX Muay Thai champion has been on a roll as of late despite two unfortunate losses in the past year. Rodtang defeated top names like Petchdam Kaiyanghadao, Superbank Mor Ratanabandit, Mongkonkeaw Sor.Sommai and Suakim Sit.Sor.Tor.Taew during his time at Rajadamnern stadium. He even fought for the 130-pound stadium title against Rungkit in 2018, but came up short. He was featured in another high-profile bout against kickboxing phenom Tenshin Nasukawa at RISE 125. After five incredible rounds of action, Rodtang looked to have won his kickboxing debut in the extra round. However, Nasukawa was awarded the victory to defend his RISE title. Rodtang showcased what he brings to the table in terms of excitement in his first bout in ONE Championship. He absolutely dominated former Lion Fight, It’s Showtime and W5 champion Sergio Wielzen over the course of three one-sided rounds. Rodtang rarely took a step back as he stunned Wielzen throughout the contest with his left hook over the top of the guard. Rodtang was a step ahead of Wielzen the entire fight with an excellent teep kick, good punching combinations, and two big left hooks that led to knockdowns. He wore the four-ounce gloves for the first time in his career, but all it did was make it easier for him to press forward like a zombie. Rodtang welcomes Tunisian Muay Thai fighter Fahdi Khaled, who has racked up an impressive record of 33 wins and four losses on the regional stadium circuit in Thailand. The WMC Intercontinental champ trains at the Venum Training Camp in Pattaya, Thailand, under the watchful eye of experienced trainer Kru Yat and fellow ONE fighters Mehdi Zatout and Alaverdi Ramazanov. The slightly unorthodox Muay Thai fighter is willing to throw his hands when pressured, but he features a kick-heavy game and fights from a distance. Khaled holds his hands high traditionally, but he likes to circle off, lean back or counter back to step out and get away from his opponent’s attacks. “The Gladiator” should be a good companion to bring the best out of Rodtang. If Rodtang puts on an impressive performance against Khaled, then the potential for a high-level match-up against another Thai opponent or even a title shot could be next on the docket. Sam-A Kaiyanghadaogym is currently the sitting titleholder for the flyweight division. However, the promotion has brought in a number of top caliber flyweights to fill out the division. As for the four other kickboxing and Muay Thai bouts on the card, there are two strong flyweight bouts that are worthy of everyone’s attention. 2010 K-1 Koshien finalist, WBC Muay Thai featherweight titleholder, and Japanese Full Contact Karate lightweight champion Hiroki Akimoto makes his promotional debut against K-1 veteran Josh Tonna. Akimoto, 26, was a strong prospect during his time in kickboxing and Muay Thai, but he decided to leave the sports in 2014 to pursue karate. 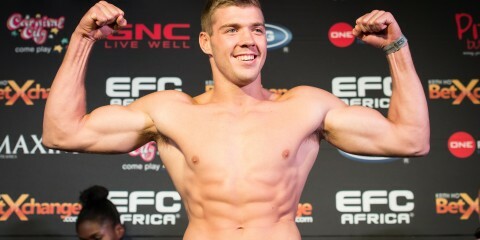 He signed with the Evolve Fight Team in 2018 in hopes to transition back into kickboxing. Akimoto brings an undefeated record of 19 wins into his bout with Tonna, who rebounded with a victory over Joseph Lasiri after getting absolutely wrecked with a knee by Petchdam in his debut. The clash of styles between the karate of Akimoto and the exciting, high-flying style of Tonna could make for a very interesting bout. K-1 veteran and top Algerian prospect Elias Mahmoudi makes his promotional debut after winning five of his last seven fights. Always exciting, Mahmoudi has carved out a strong name for himself as one of the best “small” fighters competing in France. The 21-year-old has defeated the likes of Rui Botelho, Ryuma Tobe, Ryan Sheehan, Tarik Totts and Yin Shuai. In his latest contest, “The Sniper” knocked out Macauley Coyle in the second round at Muay Thai Grand Prix 19 in October. Mahmoudi takes on ONE vet Yukinori Ogasawara, 26, who defeated the aforementioned Botelho with a spinning back elbow in his debut, but fell short against France’s Hakim Hamech in his second outing with the promotion. The WBC Japan super bantamweight champ will have his hands full with the wrecking ball that is Mahmoudi. Expect another great fight with potential for a highlight-reel knockout. The main card features a flyweight contest that could produce the next challenger to the winner of the main event. 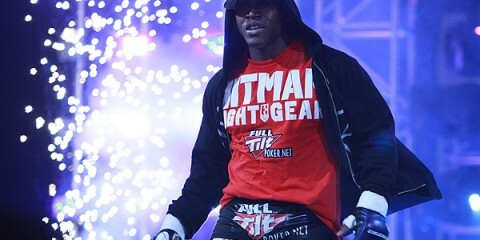 The division will be in the spotlight in 2019 following ONE’s addition of former UFC champion Demetrious “Mighty Mouse” Johnson and the announcement of an eight-man grand prix later this year. Two fighters who could benefit from all of this are Tatsumitsu Wada and Danny Kingad. Wada, 30, carried an eight-fight winning streak into his promotional debut. However, that run came to an end via a close split decision against former bantamweight title challenger Reece McLaren. 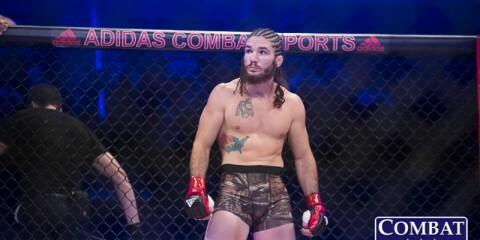 Wada returned to the win column with a first-round submission of Eugene Toquero. One of Japan’s top flyweights, Wada has won 12 of his last 14 fights, with seven stoppage victories during this stretch. After getting off to a rough start to his professional career, Wada has since rounded out his game. He is an excellent boxer who developed a strong counter-grappling and defensive-wrestling game over the years. Kingad has been a force in the ONE flyweight division since joining the promotion in 2016. He holds victories in six of his seven bouts inside the ONE cage. His lone defeat came in his only title challenge against Adriano Moraes. The 23-year-old has won three straight. His latest and greatest victory came against former King of Pancrase title challenger and heavy-hitting prospect Yuya Wakamatsu. Kingad is a striker by trade, but he has the speed and scrambling ability to take charge on the mat. As a member of Team Lakay, the Filipino fighter has a strong striking game and a powerful arsenal of kicks. This bout will not only deliver the thrills to get the fans excited about the division, but it could potentially decide the top contender or serve to determine who becomes a participant in the upcoming flyweight tournament. As for the action inside the cage, expect the fighters to test their striking skills against each other early and often. Both men possess power in their strikes, so there is plenty of potential for a knockout finish.